288 pages | 142 B/W Illus. 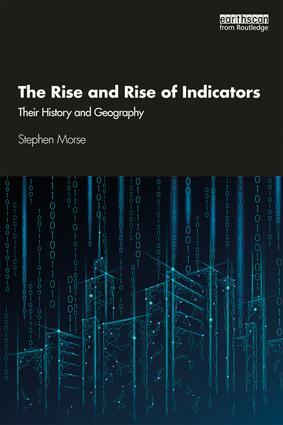 This book makes indicators more accessible, in terms of what they are, who created them and how they are used. It examines the subjectivity and human frailty behind these quintessentially ‘hard’ and technical measures of the world. To achieve this goal, The Rise and Rise of Indicators presents the world in terms of a selected set of indicators. The emphasis is upon the origins of the indicators and the motivation behind their creation and evolution. The ideas and assumptions behind the indicators are made transparent to demonstrate how changes to them can dramatically alter the ranking of countries that emerge. They are, after all, human constructs and thus embody human biases. The book concludes by examining the future of indicators and the author sets out some possible trajectories, including the growing emphasis on indicators as important tools in the Sustainable Development Goals that have been set for the world up until 2030. This is a valuable resource for undergraduate and postgraduate students in the areas of economics, sociology, geography, environmental studies, development studies, area studies, business studies, politics and international relations. 10. Where are we going? Stephen Morse is Chair in Systems Analysis for Sustainability at the University of Surrey, UK.